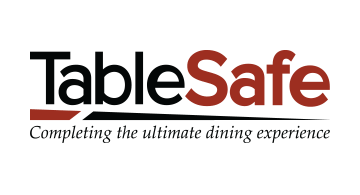 TableSafe is transforming the way restaurants and other venues complete their hospitality service. TableSafe provides a secure and innovative payment platform that enables guests to fully execute the payment process at the table while maintaining control of their payment information at all times. TableSafe’s RAIL™ payment platform offers the versatility to accept any form of payment directly at the table, including chip-enabled credit cards (EMV), traditional magstripe cards and mobile phone (NFC) based software applications - all with the security of point-to-point encryption (P2PE). The RAIL also increases restaurant revenue, table turn and staff efficiency by minimizing trips between the customer and POS system, enabling the staff to focus on the dining guest. Visit www.tablesafe.com for more information.